Erwin K. Bauer and Dieter Mayer from Austria based Signaletik wrote the great resource Portraits of International Way Finding Systems. As the sub title suggests, this is not a book about how to build effective wayfinding systems but who build it and why. Wayfinding, signage design is still a young profession, balancing on the edge of two and three dimensional design. Wayfinding often is described as spatial problem solving and designers are multidisciplinary, with a psychological look into showing the way. 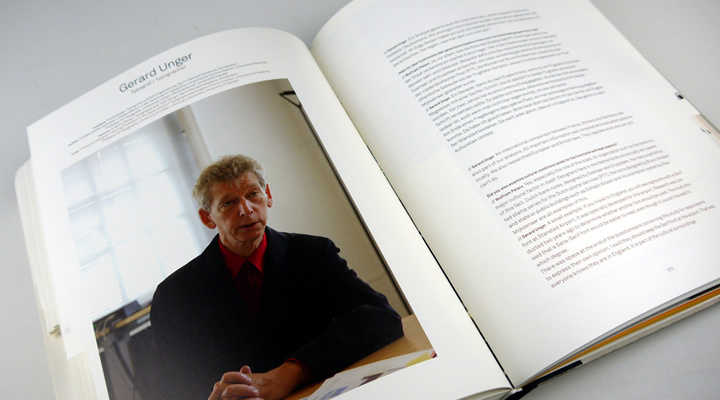 The book Orientation & Identity has 17 different projects discussed and show the potential for clients, urban planners, entrepreneurs and politicians. Each project is described from designer and client point of reference, giving a great insight on how the projects came together. This heavy weighted book shows a great in-depth insight in the field of architecture, environmental graphic design and wayfinding. The first few chapters give an insight on identity and orientation standard, the philosophy and architecture. 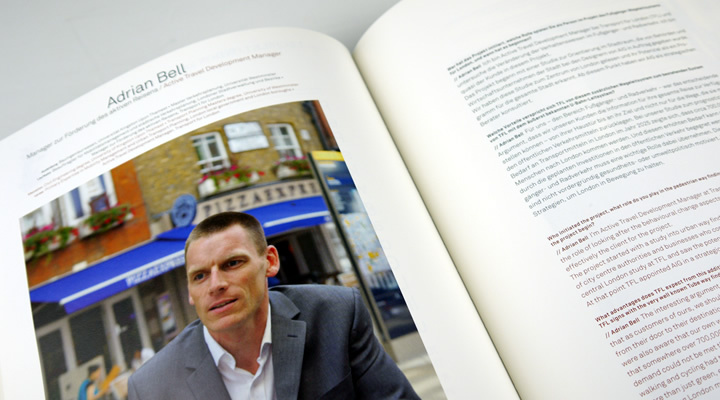 The wide range of interviews include, city-wayfinding, airport signage, Dutch road signs, museum design and corporate wayfinding in Europe. The book is written in both German and English, at first you need to adjust a bit to find the reading language of choice, after a few moments I was used reading the bottom of the pages. The case studies starts off with a introduction of the topic followed by the people behind the projects, with full background details you will get a good feeling of who participated in the project. The interviews start by asking who participated and why projects are initiated, then the story following the discussion during the project. A great insight on how they made specific choices to come to a solution for the project. 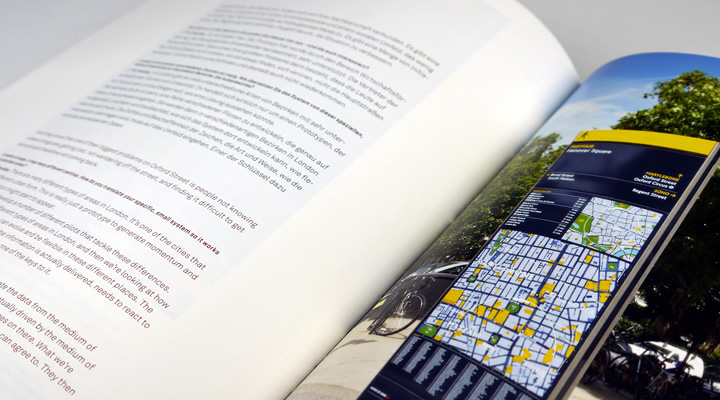 The pages are filled with full color (detailed) photos of projects accompanied by sketches and / or 2D images of the wayfinding systems. As the true value of the book is the various insights on the people involved to get a great perspective on how the projects emerged. I personally enjoyed reading Orientation & Identity for various reasons; the focus of projects are European, that makes this book very relevant for EU countries and stands out to the many US wayfinding / signage books. Secondly the in-depth interviews with various stakeholders, architects and designers behind a project makes it interesting to get a peek inside a project. 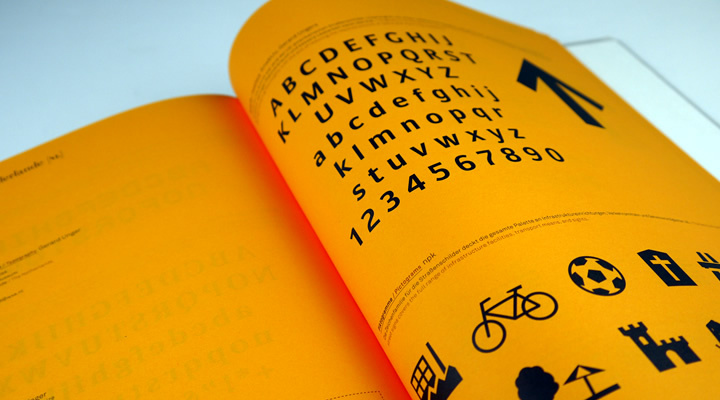 Lastly the book also provides in technical details, at the end some projects are displayed with typefaces details, construction drawings and iconography. The language separation is not disturbing but could have been done better in my opinion and the weight of the book does not make it comfortable holding it for a longer period of time. Overall, if you are looking for the stories behind large-scale wayfinding and signage projects in Europe, this is the book for you. The book is worldwide available via amazon. Book specifications: 11.4 x 9.1 x 1.7 inches, with 480 pages.